"facebook has been helping me to interact with many people"
it has helped me very much by sharing ideas to many poeple without any limitations at any place all over the boarders ,hence it also act as storage of data hence it mantains your information secure. "Connecting with friend VR style"
I like that it gives you the ability to customize your personal character, connect with friends from around the world and engage in fun activities. It takes the physical social aspect away, but I guess that's not it's meaning but the program is helpful for those who are not close to friends and love ones to interact with. Plus I can also see this as another way to communicate with various business. Side note; watch Black Mirror. Personally, feel that this tool can go left or right depending on the users. Curious to see how well this product will grow within the next 5 years. I know we are in the VR world but I am not sure a lot of people would be interested in using this product on a continuous base. If Facetime isn't enough you can contact users of Facebook Space in interact with them via Avatar characters, showing photos, videos and landmarks of places that both users can see real-time while connecting throughout the program.
" 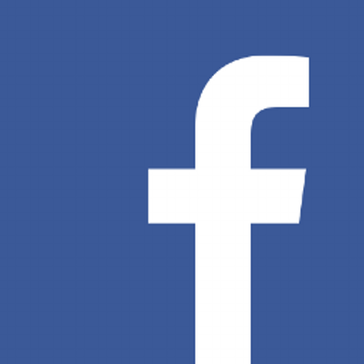 FACEBOOK A VIRTUAL REALITY"
"Promising in concept but it has a lot of bugs and crashes a lot." Facebook Spaces in Oculus Rift is very promising, its fun to call people in VR but it crashes a lot and the head tracking is not very good. I wish they would have worked on it more before releasing it, even as a beta it's not great, more like an alpha release. What I like the least is that it's owned and promoted by Facebook, is this really a company we can trust anymore? We are the product they farm for information and sell, do we really want to allow them to have a foothold in one of the most promising technologies for the future? Imagine all the data they can harvest and sell! Fool me once. Look for something else, Facebook is not a good company, they aren't worthy of consumer trust. Well, it allows me to see the potentially game changing ways I could market to customers with very different and immersive experiences, I'm always looking to the future to see what kinds of new things I can implement because you have to, we must always be innovating or we risk stagnation and loss of market share to whoever is brave enough to innovate. "Facebook Spaces Convienient in a Pinch"
Facebook Spaces is a virtual reality platform where friends and colleagues can interact with each other through a headset. People can watch videos, take photos, and effectively discuss important issues while still feeling connected to each other. It's one of the most realistic simulations as far as the VR world is concerned with the addition of avatars and interactive objects. I don't qualify this as a dislike per se, but you have to get over the "theme park-like attraction" of the VR interaction itself. Yes, the avatars and ability to draw objects might seem silly or just fun at first or purely entertaining but with the right coaching and norm-setting, I do feel like this can be an effective way to communicate overall. For those companies looking for a fresh look and a little fun on the side, this platform is for you. Again, ensuring that you have norms set up ahead of time if you're using for a business meeting for maximum productivity. To me, I'm thrilled with yet another possibility to share and collaborate while being in separate locations. Its shaping how we communicate across the globe which can be an absolutely plus with our community partners and stakeholders (in a fun way). "Excellent tool to connect and communicate"
FACEBOOK is an excellent tool for organizations to build community within their brand. It is easy to navigate, there are endless ways to communicate and build community. Social media platforms such as Facebook can help aid nay individual and organization is communication, branding, and vision casting by providing a stage for you to share and promote your vision. Often, the many changes to the system make it difficult to manage and maintain consistency. But, we learn and grow as an organization just as Facebook does. There is not much I dislike. It's a great tool that is continuing to evolve. We solves problems such as reliability, communication, accessibility, and remaining probable and within reach to those we work with and work for. "Great tool for business; it really helps you get your thoughts across"
I like that it's not only entertaining, but enables customers to "see" your character and what you can do. Customers can interact with you. Customers can see you addressing them right away. I haven't had any issues yet, so i can't really say we have had any complaints. Hopefully customers will try it more and more. We are merely trying it out at the present time. I don't know if it will work for our industry- contracting- but residential customers seem to enjoy engaging in VR. Especially those looking for new work. Take your time and set up whatever options you believe you will need. Then take it day by day. You may not get response as quickly as you'd like. "The future of virtual conversation is here!" -By connecting the Application with VR box we can easily interact with the other person whose sitting half across the world. - We can make our own avatar in virtual reality and can interact like a physical meeting. -it looks like a real physical interaction with the other person. -The app keeps on disconnecting and reconecting. - Microphone was also getting cut out . -Only Oculus Rift user can use. It helps us in virtually interacting with the other person and it's an amazing thing in itself. It's the future of digital conversation. Facebook Oculus connect people from across the world, give them the feeling that they’re really meeting up together like in real life, and then do things that they could never do within the confines of real reality. It doesn't read all that different from Facebook's privacy policies and settings on its core app or other apps. Especially when you consider the periodic audits; Facebook's own privacy audit in 2017 didn't catch the Cambridge Analytica data caper. With Facebook Spaces, hotels, theme parks like Disney, or even a conference like Social Media Marketing World can readily use virtual reality to take users through their properties and events. With Facebook Spaces we are able to play around with different design concepts that aid our marketing efforts. Getting to some of the corrective measures is a work in progress. Rather than pay for a test animation created by outside sources, play with this to get a clear idea of your direction. We are playing around with design concepts to benefit ourselves and clients. We get immediate feedback. Easy way to connect you friend in this fast life. Easy share your video,comment,like easily connect from any device like mobile ,PC etc. Nothing to dislike in facebook, only one thing that the auto play video that you don't want to see sell run. To develop business it play an important role . There are many positives to using Facebook Spaces. My favorite part is that since many employees are familiar with Facebook, they catch on easily to Facebook Spaces. It’s easy to use and user friendly. While I have yet to experience and major issues or problems with this, the only thing that I dislike is that is drains battery and the 3D avatars sometimes have bad graphics. Facebook Spaces adds some fun to the workplace and is interesting to use. A benefit is that it interests all employees, young and older. Able to reach a wild spread of people through the company social media. At the moment i can’t think of anything to dislike my experience was good . Able to reach people all over the world through the social media platform. "Professional real time VR expercience for connecting with friends and colleagues." Drawing in 3D space is the coolest experience ever. Not too many users yet -- after all, not many people have VR glasses. Facebook Spaces offers professional solutions both for real-time business communication and for personal use. Facebook Spaces helps connect with colleagues. I like the fact that it’s easily accessable. I’m solving interactive problems. It gives me a chance to have a one on one with consumers. I love the functionality of Facebook. It’s easy for anyone to use. I don’t like that it’s got some heavy updates sometimes and I can’t log on. The benefits provided are community, ease of access (as everyone knows how to use Facebook), and it was well designed. * We monitor all Facebook Spaces reviews to prevent fraudulent reviews and keep review quality high. We do not post reviews by company employees or direct competitors. Validated reviews require the user to submit a screenshot of the product containing their user ID, in order to verify a user is an actual user of the product. Hi there! Are you looking to implement a solution like Facebook Spaces?